Insert markers to quantify severity of problems and leverage multi-tool connectivity with additional measurements using CNX™ wireless modules. These CNX wireless modules help you troubleshoot and solve problems faster. Leverage graphical analysis tools to further characterize the severity of the problem. This powerful software is a modular suite of tools that allows you to view, optimize and analyze infrared or IR images. You can generate fully customizable and professional-looking reports in a few simple steps. 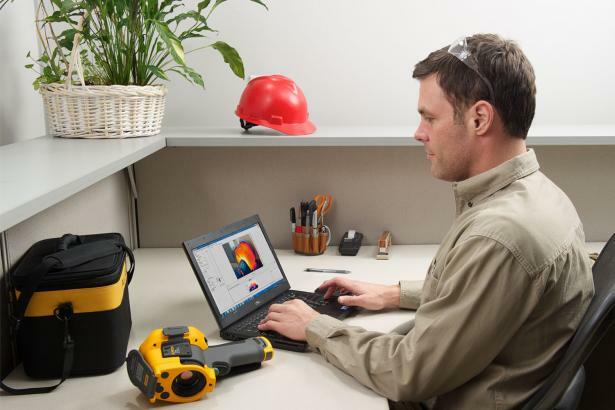 SmartView® software is intuitive and easy to use which makes it ideal for customers with basic needs, yet it delivers the performance specialized thermographers require for advanced reporting and analysis. 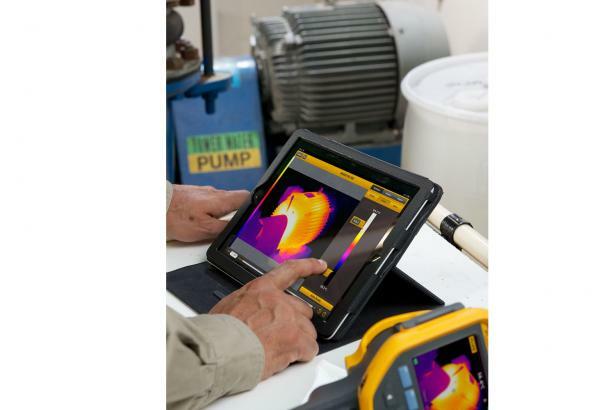 Fluke IR-Fusion® technology - the blending of digital and infrared images into a single image, delivers strikingly crisp detailed images, making problem detection extremely easy. SmartView software allows you to use this patented technology, so you can capture and annotate images and quickly import them into your reports. Create an inspection report while still at the inspection site and communicate directly to your client or manager via your Apple®, iPhone® or iPad®. Optimize: Adjust the image to present problems in the most effective way. Analyze: Use markers and other tools to quantify the severity of problems. 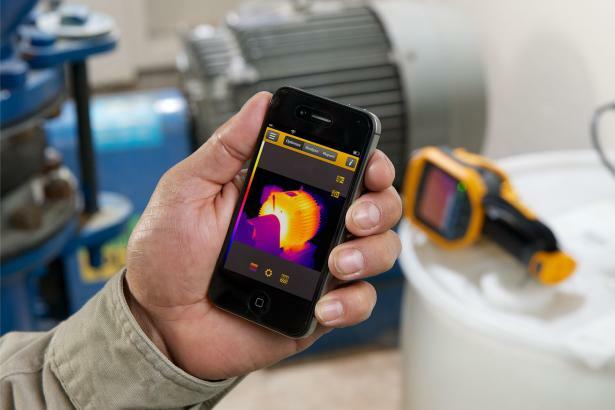 Fluke SmartView Mobile will increase the return of your infrared camera investment. Download is free. Visit the App Store and search on SmartView. A Web browser for product registration and viewing FAQs: Microsoft® Internet Explorer 8.0 or newer. 1 GB RAM for Windows™ 7/8 or later, not including space requirements for Web browser and Microsoft® Word. For better performance, add more RAM. 16-bit color, 1024 x 768 resolution video or better. Color printer (for printing your images). CD-ROM drive (for installing SmartView software). Windows Media Player and video codec for video playing (optional).